Xpella is a ground breaking advancement in active post-operative wound drainage. It’s a reservoir that maintains a proven constant negative pressure in the post surgical wound, from start to finish. Xpella creates the optimal healing environment by drawing out exudate and making sure the wound edges remain approximated, preventing dead space from forming. 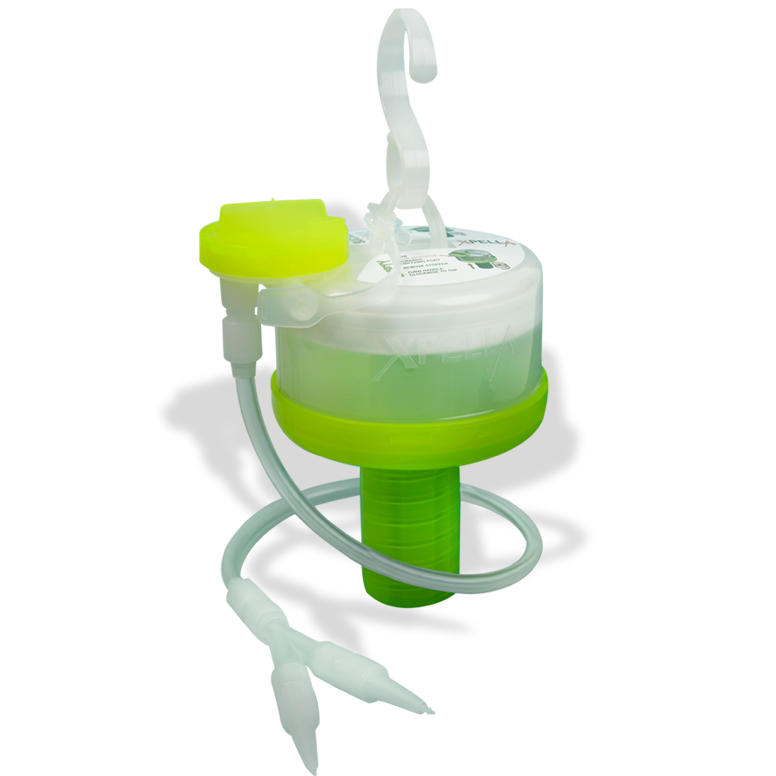 The device has a 300ml reservoir that creates a constant, predictable vacuum which is achieved by its patented technology. When you use a traditional wound drainage reservoir, the vacuum drops as the as the reservoir fills, and the wound can fill with fluid. With Xpella, the wound bed remains reliably under vacuum – even while you empty it. 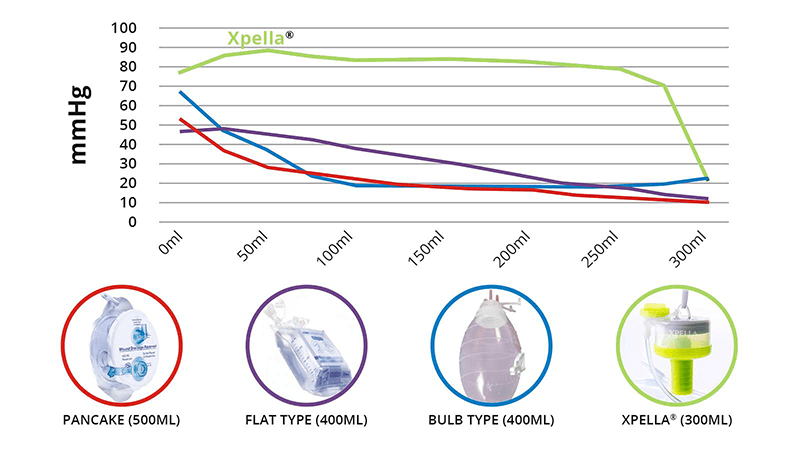 Xpella maintains a steady 80mmHg vacuum. What vacuum does your current reservoir provide? No reliance on any kind of power source. Who will benefit from Xpella? Discover 10 reasons to upgrade to Xpella. From advanced wound healing to superior infection control to remarkable ease of use: The question is, why not? Indicates the direction of the flow of drainage fluid. Prevents accidental backflow of wound exudate back to the patient. The Y-Connector allows you to connect one or two drains simultaneously to your Xpella. See how easy it is to activate and empty Xpella. Xpella gives you universal compatibility with existing silicone drains. No more accidental disconnection due to our lockable connectors. View our range of fluted and perforated silicone drains, sold separately.